We want to congratulate Joe Parker the owner and visionary behind the Heart of Howell and 2FOG's Pub projects for his recent appointment to the Howell Area Chamber of Commerce Board of Directors! The original press release can be found HERE on the Howell Chamber of Commerce website. Sandie Cortez of First Impression Print & Marketing, was named the chamber’s 2016 Chairman of the Board at the chamber’s Annual Meeting, immediately preceding the Annual Dinner. Cortez takes over the reins of the chamber from Ron Long of First National Bank, who becomes past chair. Other members of the chamber’s Executive Board are Glynis McBain of Your Peace of Mind, vice chair; Trevor Brooks, The UPS Store and Laurex Realty, treasurer; and Jeff Rey of Express Employment, secretary. The rest of the Howell Area Chamber of Commerce Board was announced: Renee Chodkowski, The Great Foodini; Lynn Elberson of Howell Western Wear; Brynt Ellis of Saint Joseph Mercy Livingston; Jodi Hoag of the Tanger Outlet Center; Candy Jones-Guerin of WebWorld Advantage; Michael Jonna of Jonna’s Market; Devanir Moraes of Chem-Trend Limited Partnership; Joe Parker of Heart of Howell and 2FOGs Pub; Jesse Parsley of Edward Jones; and Prasad Puttagunta of Asahi Kasei Plastics North America. Board members Jessica Brooks of Crystal Gardens – Livingston, and The Dress Shop; Candye Hinton of the Hinton Real Estate Group; Steve LaCommare of the Kizer Law Firm; and Debra VanHevele of Comerica Bank are leaving the board and were recognized for their service. Bob Dymond of R&D Screw Products and Don Cortez of First Impression Print & Marketing were recognized for serving on the Howell Area Chamber of Commerce Foundation board. It has been brought to my attention. That one of 2FOG's Pub's employees recently visited Mr "B"'s for dinner. After his visit he posted his feelings about his meal. I don't know if his post was in fact what he experienced at Mr. "B"'s. I cannot control the personal life or actions of an employee. Our GM spoke with this individual and he removed his post prior to me even knowing about it. Howell is a town that does not need this type of drama. Actually no place needs this stuff. I will not support negative attitudes or actions by my employees as it pertains to those working in the same industry. Nor will these kind of comments or actions be tied to 2FOG's and it's ownership. My Family is above this. We work to share a positive view and actions to grow Howell as a whole. I have personally sent an apology to Mr. Merkel. I wish him, his family and investors success. 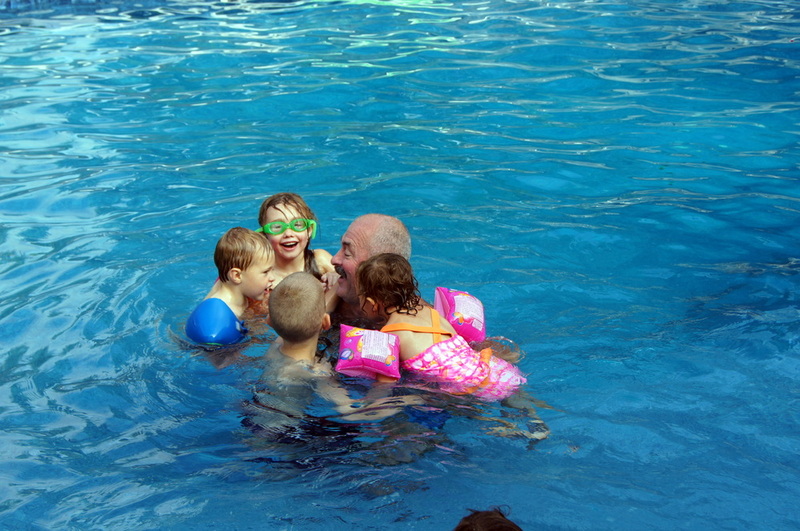 My grandkids are calling me and spending some time with my "other" family is alway a high priority on my list! So we will be closing 2FOG's Pub for Sunday 9/6 and Monday 9/7 to celebrate Labor Day. We not only want to spend time with our friends and family, but also want to give this time to our employees as well to refresh and relax. We thank you all for your understanding and appreciate the continued support by The City of Howell, The Howell Area Chamber of Commerce, the DDA and our wonderful Howell Community. WIshing you a happy and safe Labor Day Weekend! 2FOG's Pub in Howell, MI is looking to expand our growing team! We are looking for good, reliable and talented people to make our pub the best in town. We have high expectations and high standards to ensure that we are all successful in this endeavor! Please send your resumes by email to fogspub@fogspub.com or give us a call at 517.518.8056! New Single Malt Scotch Arrivals! Break the piggy bank and dive in! August is 2FOG's Pub Growler Month! 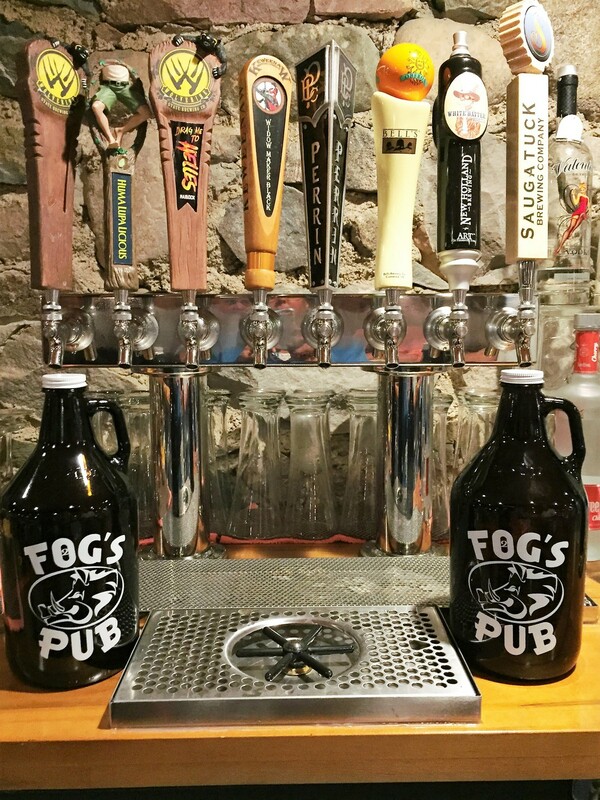 For the entire month of August 2FOG's Pub has a special growler offer! We will be offering a FREE 2FOG's Pub Glass Growler with your purchase of 64 ounces of any of our Michigan craft beer on tap. This is a limited time offer for the month of August so be sure to get yours before these are all gone. You can then use these for many years to come to fill up with your favorite Michigan tap beer that we will continually rotate for your enjoyment. We hope to see you all very soon! Please ask your server for all the details on your next visit! 2FOG's Pub will be showcased on FOX 2 Detroit's Morning Show next Wednesday August 5th, 2015 in the 9 o'clock hour. Chef Jamie Crozier accompanied by owner Joe Parker will showcase a signature 2FOG's Pub dish. This is a great warmup leading up to the following night's Iron Chef Event! When it comes to whiskey, Joe Parker knows a thing or two. He has spent countless nights committed to drinking- I mean studying what makes a good whiskey. Now his hard work and dedication to the craft is finally being recognized. Joe recently traveled to Ireland to further his knowledge and "love" for good Irish Whiskeys. On May 6, 2015 Joe Parker became a certified Jameson Whiskey Taster, proving his palate is just as refined as the whiskey.
" I did this for my customers, not for myself! A cross I must bear." Although we will be closed this Sunday, May 10th, for Mother's Day- have no fear! Our Bloody Mary Bar will be back the following Sunday, May 17th, from noon to 3PM and we look forward to seeing you here! Want us to feature your Bloody Mary on our website and social media? Take a pic and post it to our Facebook page! WAIT! Is that jumbo shrimp and bacon?! This bloody mary was stacked a mile high! Not into a meaty Bloody Mary? No problem! We have a variety of fruits and vegetables to make your 'Mary merry. From May 3 - October 25, 2FOG's Pub will be having a Bloody Mary Bar on Sunday's from 12 - 3 pm. Come on in and create your own Bloody Mary! With four different Bloody Mary mixes and more than 25 different garnishes that includes three kinds of cheeses a wide variety of veggies and bacon! Your options are endless (well, not quite. But there is bacon). Added with a shot of vodka or gin, and you will be ready for what comes next. We look forward to seeing you next Sunday, May 3 for the first 2Fog's Blood Mary Bar! Join us in celebrating the this beautiful, historic redevelopment project in downtown Howell! Winner of the Architectural Investment Award, this multi-level building houses Silverstone Jewelers, Your Peace of Mind, EnCore 118 and 2 FOG's Pub. Meet Joe Parker, the man behind the project, and his daughter Courtney Tarara. Plan to stay for an After Hours at 2FOG's Pub, located in the basement of this unique structure. Longtime friends and owners Joe Parker and Brian Atkinson saw their vision come to life in this pub with its prohibition era feel and distinctive speakeasy-like atmosphere! 2FOG's Pub serves small plates with the freshest ingredients, classic cocktails, martinis and Michigan craft beers. This evening, at 2FOG’s Pub, The Great Foodini held a cooking demonstration for the Livingston Reads Book Club that meets at the Howell Carnegie Library. With more than thirty people on hand, the book clubbers enjoyed classic cocktails and craft beer courtesy of 2FOG’s Pub, (prepared by our amazing bartender; Toni) - while they learned how to prepare a kitchen full of amazing food recipes that incorporate Michigan Craft Beers, Foodini style (and yes they taste even better than they sound)! Join us next time, or book your own private party for you and your friends! 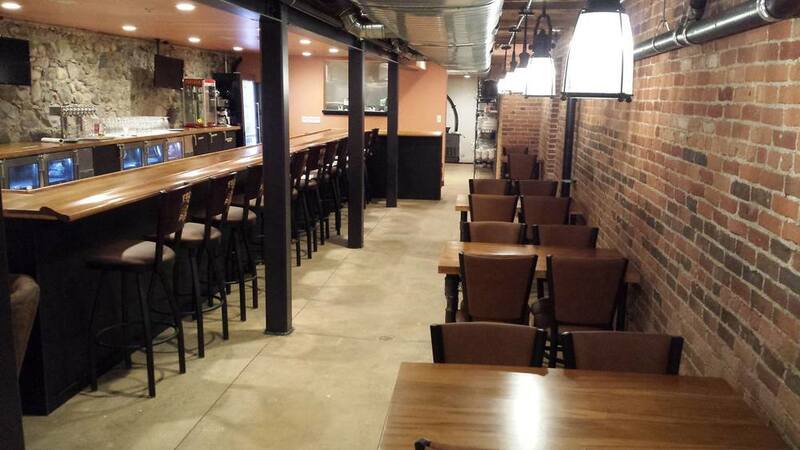 To reserve space for your private party, email fogspub@fogspub.com today! After much work and planning, 2FOG's Pub is now OPEN! We enjoyed a ribbon cutting ceremony in early March and have been bringing tasty treats and delicious Michigan brews to the public since.